Preston Palace Almelo, Hotel Netherlands. Limited Time Offer! Preston Palace. 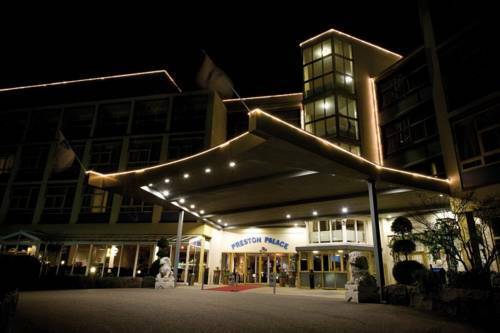 "Preston Palace" is a hotel that has received 3 stars. This hotel is perfect for visiting Almelo. Visitors can take a swim in the swimming pool. At this accommodation, you can take part in mini-golf. For visitors who like sporting activities, "Preston Palace" also offers bowling. For dinner there is no need to leave the residence as there is an onsite restaurant. To add to your stay, there is breakfast in the morning. There is free of charge Internet access available.